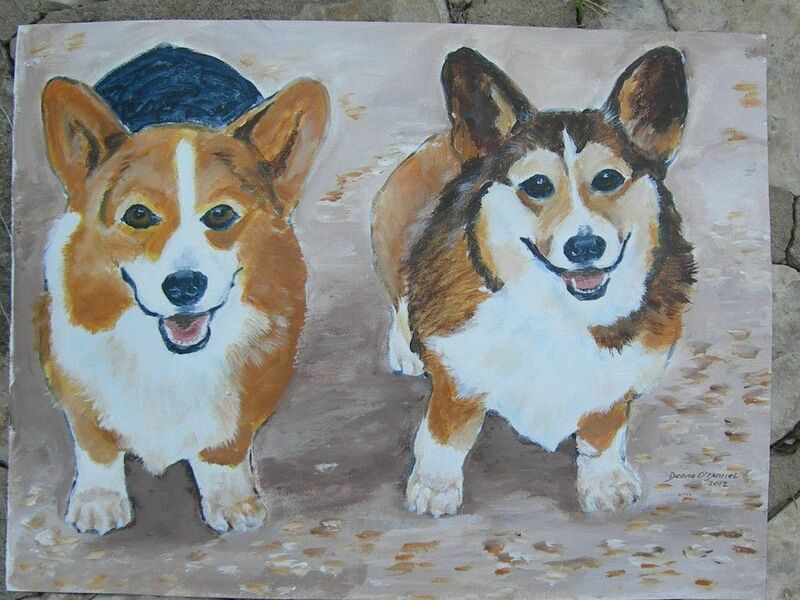 Custom dogs pet portrait of Henry and Andrew, Pembroke Welsh Corgis. 11 x 14 inches, painted in acrylic on canvas. Individual head studies are 8 x 10 inches, $75.